Pop quiz: what makes a smart thermostat? If your answer includes the following: a) connected to the Internet, b) controlled with a smartphone app, c) changes the temperature without being told—you’re correct. Another correct answer would be: knowledge. A thermostat that knows more about your house and your needs can take smarter actions on your behalf. It’s why many standalone connected thermostats, equipped with only a one-room view, fall short. And it’s why the Alarm.com Smart Thermostat excels. 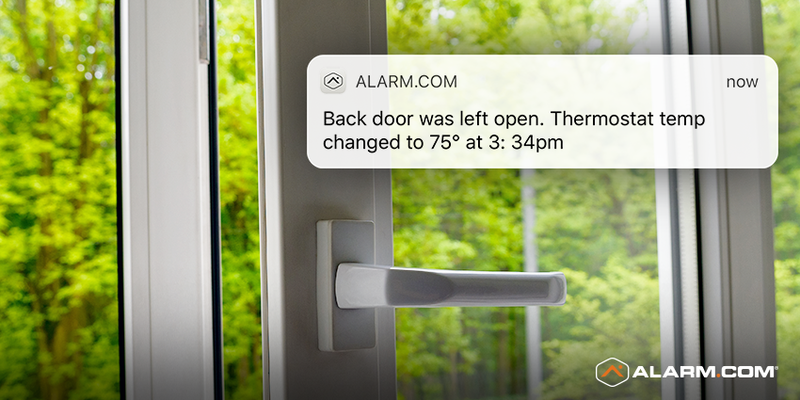 With real-time information from all around your house, an Alarm.com Smart Thermostat sees more opportunities to save energy. It can save energy automatically when no one’s home, based on your security system’s arming status. It can also use Geo-Services to save energy when you go to work, and make things comfortable when you’re on your way home again. On hot days, it knows the temperature outside and can turn itself down slightly to save you some money. It can even minimize waste when your kids leave doors and windows open. While most smart thermostats are limited by a one-room view, our Smart Thermostat can read the temperature in different rooms of your home with small, wireless temperature sensors. With this knowledge, it can heat or cool the house to deliver precision comfort to any single room that you choose. 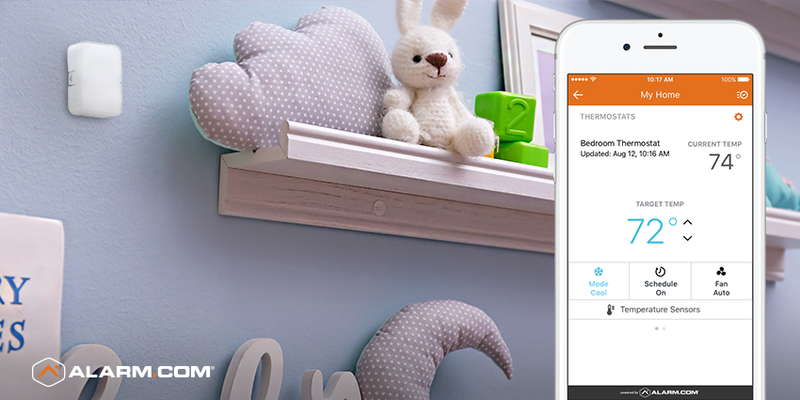 As well as tackling hot rooms, this lets you create custom comfort schedules around your family’s routine. You can enjoy your morning coffee is a perfectly comfortable kitchen, ensure that your baby’s room is cozy for naptime, and enjoy cool upstairs bedrooms at night. 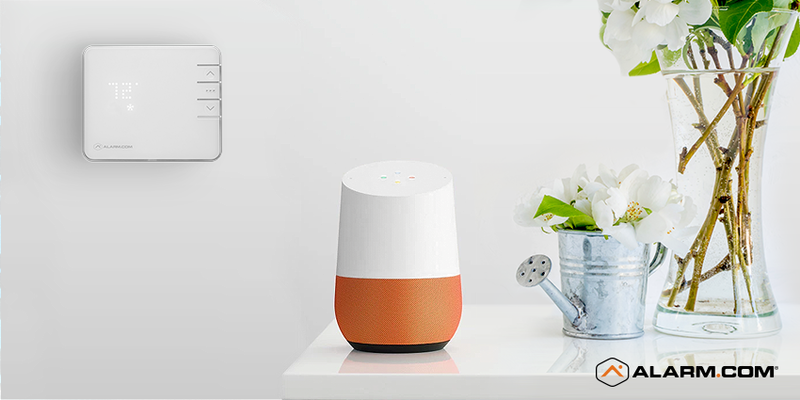 With an Amazon Echo or Google Home device connected to your system, your Alarm.com Smart Thermostat responds to your voice. You can “ask Alarm.com” to adjust to a precise temperature, or simply ask to turn the temperature up or down for a 2° change in either direction. For extra convenience, you can include your thermostat in Alarm.com’s customizable, multi-device Scene commands, which you can activate with Amazon Echo or your Alarm.com app. Can a thermostat protect a home? With smart home security intelligence, it can. In midwinter, for example, water pipes can slowly freeze in cold homes, then burst and flood the house. 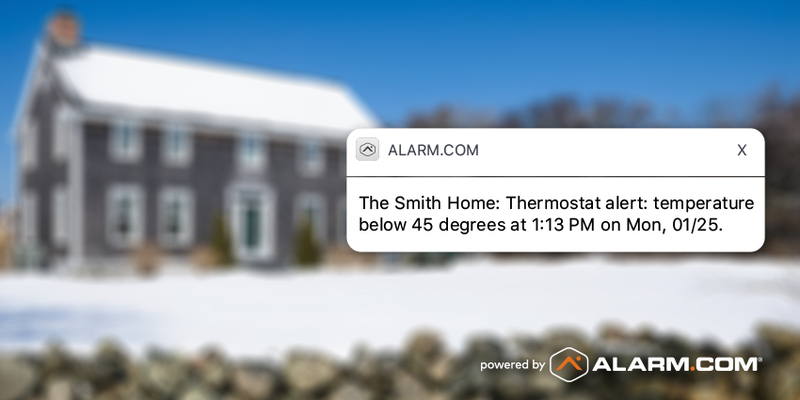 A temperature threshold alert from Alarm.com, generated by your thermostat and temperature sensors, could alert you ahead of time, enabling you to deploy an emergency heat source and avert a substantial cleanup bill. 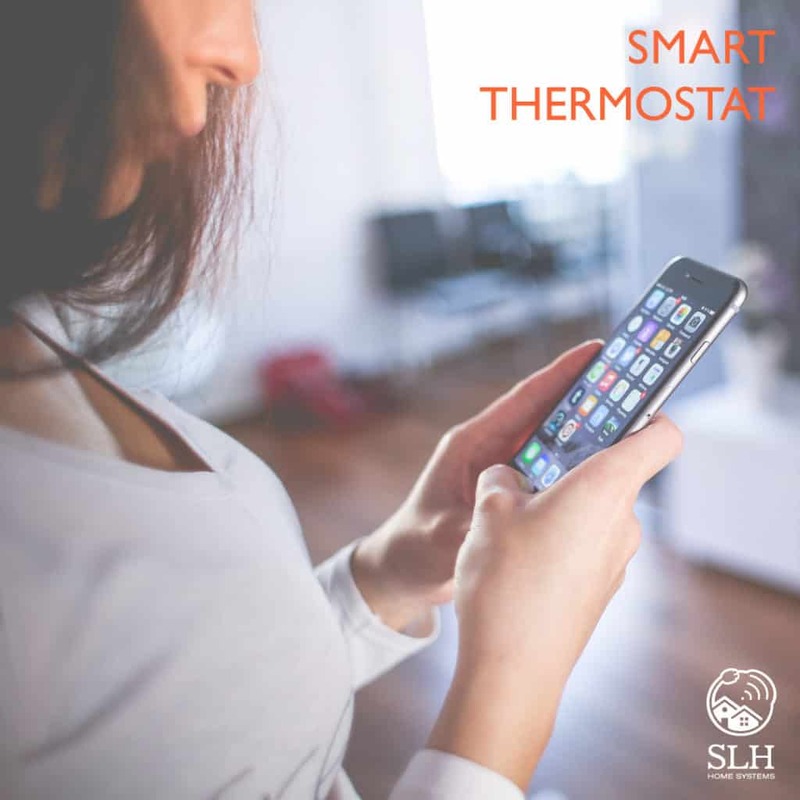 Want to upgrade your HVAC system with our smarter thermostat? Getting an Alarm.com Smart Thermostat with temperature sensors is easy. Just let your Alarm.com service provider know and they’ll help you make the upgrade. Don’t forget to ask them about other useful additions like smart locks and an Alarm.com doorbell camera. Don’t have Alarm.com yet? Enter your ZIP code below to connect with a service provider today.